Dry Aging 101 - Pure Island Beef Co.
Dry aging is the process of allowing beef to hang undisturbed in a refrigerated space for weeks or even months before slicing into steaks, roasts and other cuts. Why bother with aging? Greatly enhanced taste and tenderness are the benefits, and you really need to experience them to understand. Dry-aged beef is so much more flavourful and tender, and this is the heart of the Pure Island beef experience. We maintain a temperature of 1ºC to 2ºC and 80% to 85% relative humidity in our aging coolers – essential conditions that allow natural enzymes and biochemical reactions to tenderize meat and enhance beef flavour. The improvement in the eating experience is huge, but there’s something else you need to understand about dry aging, too. 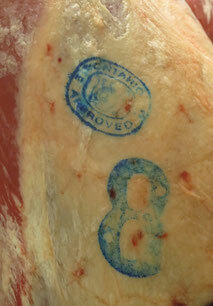 Sufficient fact covering is essential for producing our dry-aged beef. The fat on our grass-fed beef is proven to include higher levels of omega 3s and other compounds – similar to what’s present in fish from cold ocean waters. Beef requires a sufficient covering of fat on the outside of the carcass and fat marbling within the meat fibers to age properly. Without sufficient fat, beef dries out too much and begins spoiling before it’s fully aged. This fact comes into play most when it comes to producing grass-fed beef. Lab studies show that grass-fed beef contains much higher levels of omega-3s and other beneficial fats, and this is one reason people are choosing our grass-fed option. Trouble is, almost all other grass-fed beef on the market today has only been aged a little – or not at all – because it’s not fat enough for anything else. This is why some people are turned off grass-fed beef. Pure Island beef is different. The Angus and Shorthorn breeding of our cattle, plus our rich, grass-based feeding program, means that Pure Island grass-fed beef has sufficient beneficial fat content to allow full dry aging of 21 to 30 days. You won’t find this in most other grass-fed beef and it makes all the difference. But isn’t fat bad for you? Not necessarily. The fat covering that allows full aging is trimmed off after aging, and the fat marbling within the meat fibers melts and drains away while cooking. The fat that remains contains those higher levels of omega-3s that grass-fed beef is famous for.